Discover the most advanced, powerful, brand-flexible toolset available for publishing and promoting events online. 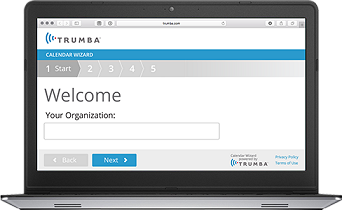 After you start your 30-day free trial, you can run the Wizard to create a live calendar in a few quick steps! You can use the colors and styles from your own website so your new calendar fits right in. 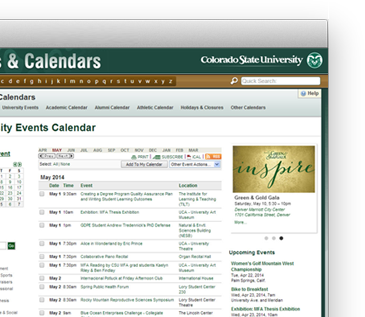 Demonstrate the vibrancy of your community and reach a wider audience with the website calendar software preferred by universities, government agencies, and other organizations. Publish interactive online calendars better than the rest. Highly customizable, design-quality, easy-to-navigate calendars anywhere on your website. Our copy-and-paste widgets get you up and running quickly. 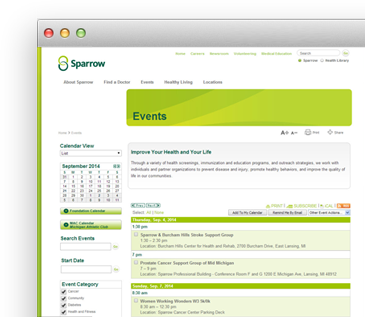 Online event registration lets attendees signup for paid or free events with customizable forms integrated with your website calendars. 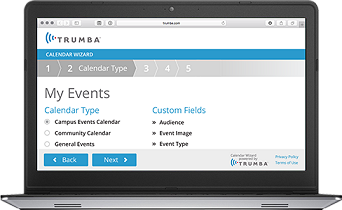 Trumba's mobile calendar views and data feeds that integrate with mobile apps help you reach your audience anytime and anywhere. Full set of two-way communication and promotion tools including email, text-messaging, RSS feeds and more. Publish searchable directories of venues, performers or any content. 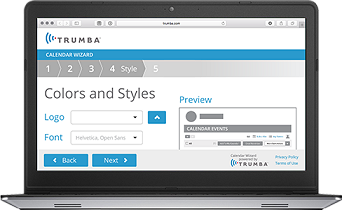 With Custom Objects, Trumba powers more than just your calendar. Calendar expertise you can count on. Our expert staff will help you build the perfect solution so your website visitors connect with the events they care about. You get all the credit. Let one of our experts show you the benefits of using Trumba. 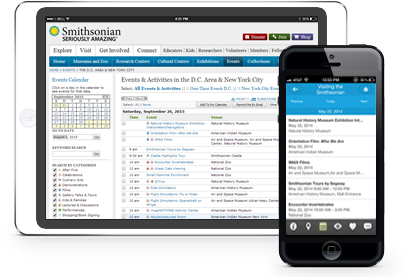 Try the most advanced event publishing software available, FREE for 30 days. 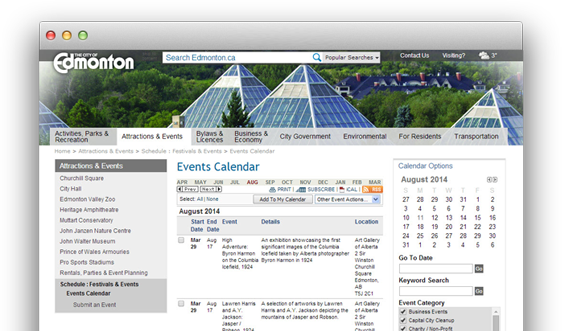 Find out why so many people love our event calendar software.